While looking through old documents, it is almost inevitable that the reader's attention will be drawn from the intended target to other articles. The reports below were found in old Glasgow Heralds. Although they have no football content, they may be of interest. Two Ardrossan sisters from Harbour Lane, both aged fifteen, appeared at Kilmarnock Sheriff Court charged with having on the 19 December 1908, stolen 150 lbs of coal from the coal bing in the Old Dock at Ardrossan Harbour. They pleaded guilty, admitted previous convictions and the court heard that the girls were said to be quite beyond the control of their parents. They were ordered to be detained until they were nineteen years of age in Dalry Reformatory for Girls in Edinburgh. At a meeting of Ardrossan Town Council, Provost Chrystie stated that he had been in correspondence with Lord Eglinton’s factor with the result that Lord Eglinton was willing to cooperate with the Council in a scheme for the improvement of the South Beach Green (shown below in the early 1900s) and for providing employment for ratepayers of the town who were out of work. The proposal was that a footpath about ten to twelve feet wide should be constructed along the shore side of the green, and that the green itself should be levelled up and sown with grass seed. Lord Eglinton was prepared to employ at this work ten of the most needy and deserving of the unemployed ratepayers at a wage of 15s a week for a period of two months on condition that the Council would provide material for the footpath and pay for cartage. It was agreed to co-operate with Lord Eglinton and the matter was left in the hands of Provost Chrystie. The sailing smack, Maggie Kerr, built by Archibald Boyd, Ardrossan, for David and Alexander Kerr, Lochranza, Arran and launched in 1879, was wrecked in Dunbeath Bay, Caithness. 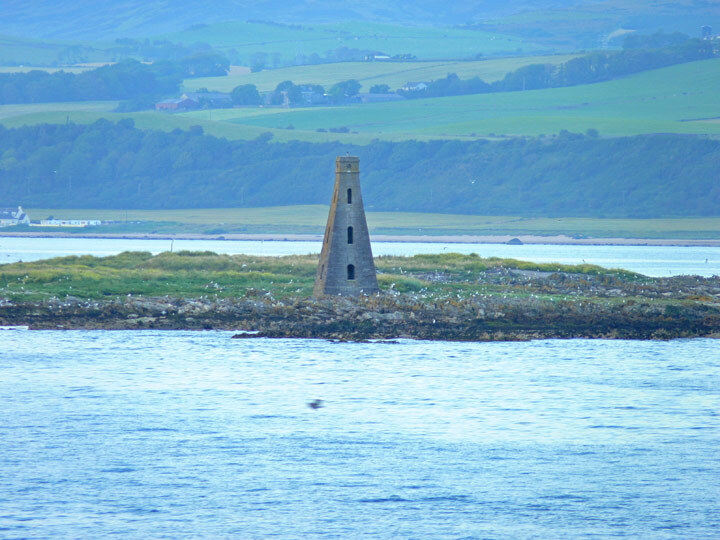 The death has occurred at Ardrossan of Mr John Templeton, a well-known diver and salvage superintendent. Mr Templeton was one of the crew of the rowing-boat which on 21 October 1874, reached the wrecked Chusan at the Horse Island (shown below in 2011) after the lifeboat had given up the attempt to reach the vessel. He took a prominent part in many salvage operations. In 1899, he received the parchment of the Royal Humane Society and a gold watch for rescuing a boy from drowning at Ardrossan Harbour. For the last nine years of his life Mr Templeton was surveyor and salvage superintendent to the British Marine Society.